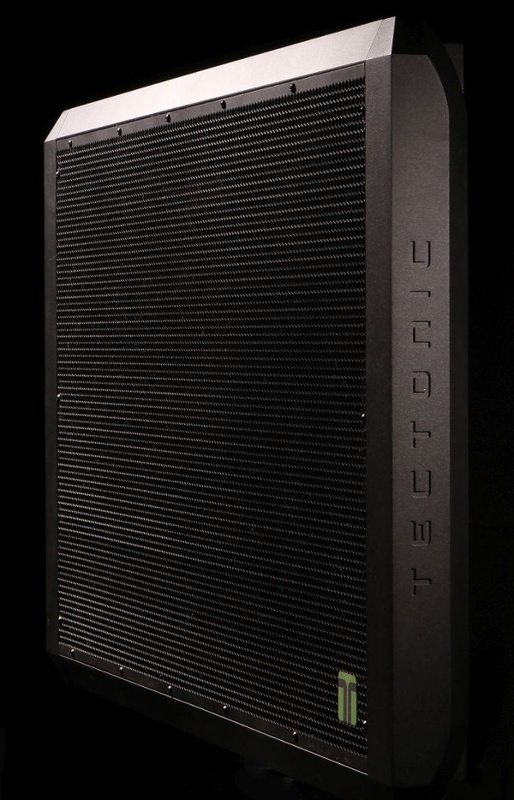 Keeping with the tradition of Seattle area audio innovation, Tectonic Audio labs of Woodinville is an energetic, forward thinking company whose flat panel speaker technology is an exciting alternative to traditional commercial loudspeaker design. Tectonics PL panels solve a lot of issues in installed/portable sound system design and the audio quality is nothing short of fantastic- even in a problem environment. Theater Design Northwest is pleased to be a new dealer for the line! Currently Tectonic Audio Labs focus is on sound reinforcement/commercial applications, but they are developing residential size solutions and also licensing their tech to other manufacturers of smaller home size products. Like the Q Acoustics soundbar which delivers life size audio in a small package. TDNW’s main use for Tectonics speakers is in AV system designs for some of our larger commercial projects in Seattle. One such project is The Butcher’s Table restaurant on Westlake. Our design using Tectonics provides seamless beautiful audio to every seat in the house using just three PL-11 panels. And even better, the unique distributed mode audio characteristics allow us to do that without expensive and bulky acoustic treatments in this extremely reflective space.